We should be back to our old tricks next week... but keep an eye on the site's facebook and twitter pages for weekend updates straight from Power-Con! 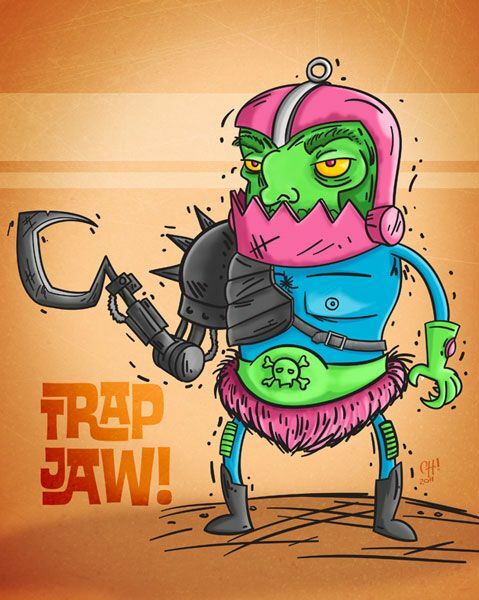 Oh...And are you interested in having your MOTU art featured on "Fan Art Fridays"? Well shoot me an e-mail at mastersoftheuniverseclassics@live.com and let's talk! Woot! Woot! Go Chunky B! Chunky B. does some fantastic art am lucky to have a few stickers with some art of his he sent me not long ago and i think they are great. Ya know, I thought that looked like Chunky's style. It looks awesome!! I'd like to see a few more of these.